This amazing apparel brings together two of your favorite things – mixed breeds and dog agility! Pick your favorite color and your size of sweatshirt, and we will heat press this unique design onto it. Above the word “Agility” is a generic silhouette of a mixed breed dog jumping, with the “All American Dog”stretched across the top, and a star on either side. Perfect way to support your favorite pup. This awesome apparel brings together two of your favorite things – mixed breeds and dog agility! Pick your favorite color and your size of t-shirt, and we will heat press this unique design onto it. Above the word “Agility” is a generic silhouette of a mixed breed dog jumping, with the “All American Dog”stretched across the top, and a star on either side. Perfect way to support your favorite pup. All American Dog Agility decal features stars, paw prints, and an overall sense of awesomeness. Perfect for the mixed breed dog owner! Decal measures approximately 5″ wide and 1.5″ tall. Simple and professional All American Dog Agility sticker has an a-frame making up part of the word “agility,” and “All American Dog” across the time. Very classy, looks great on any smooth surface. Having a mixed breed dog and running agility often means there’s not a good selection of All American Dog agility shirts to choose from. Unless you’re shopping at Inky Dinky Dax! We’ve made a silhouette made of parts of four different dogs, to create the ultimate mixed breed. Next, we covered him in the American flag’s stars and stripes, and added the text “All American Agility.” This patriotic pooch will represent your mixed breed dog with absolute pride! Fun All American Dog sweatshirt for mixed breed dog owners. 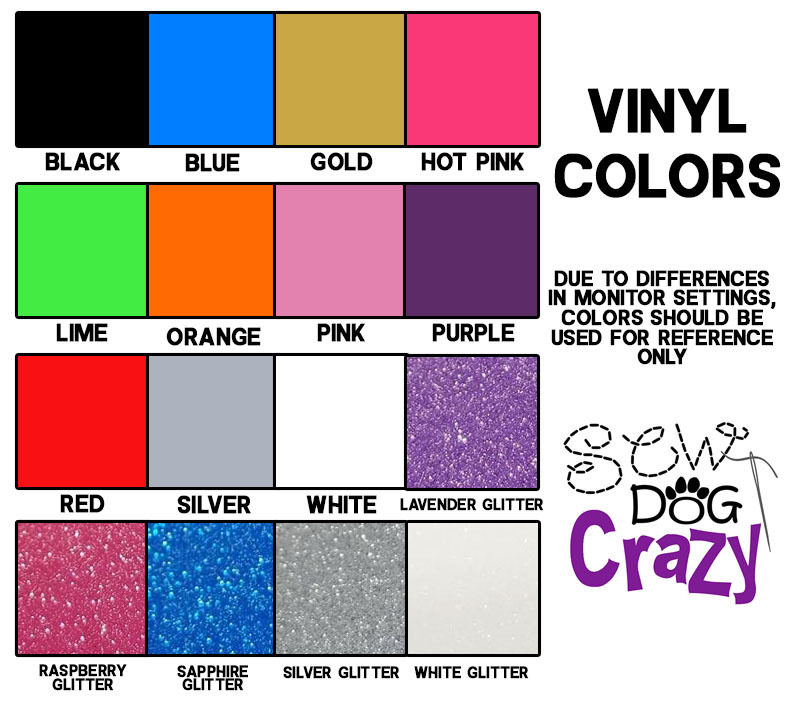 This shirt is embroidered with your choice of glitter vinyl inside the word “Dog.” This mixed media shirt is sure to be a hit. Cute and unique, just like your pooch. Design is approximately 7″ wide. Fun All American Dog t-shirt for mixed breed dog owners. This shirt is embroidered with your choice of glitter vinyl inside the word “Dog.” This mixed media shirt is sure to be a hit. Cute and unique, just like your pooch. Design is approximately 7″ wide. Vinyl All American Dad Decal is cut from commercial grade automotive vinyl for long lasting wear. On either side of “Dad” is a paw print to represent mixed breed dogs. Perfect for the proud All American Dog Dad! Unique All American Dogs embroidered hat! For anyone that prefers the term “All American Dog” to describe their mixed breed dog. Very cute! Die cut vinyl All American Dogs Rule sticker is perfect for the pet owner participating in dog sports. On one side of the fun text is an agility bar jump, on the other side is a rally obedience cone. A delightful way to show off your Mixed Breed Dog’s versatility. Approximately 5.8″ wide by 2.1″ tall. This striking All American Dog Agility sweatshirt is a single color design set into a circle. The inside holds a generic silhouette of a mixed breed dog jumping, with “All American Dog Agility Dog” inscribed in a circle around it. Choose the color of your shirt and the printing you’d like! This awesome All American Dog Agility t-shirt is a single color design set into a circle. The inside holds a generic silhouette of a mixed breed dog jumping, with “All American Dog Agility Dog” inscribed in a circle around it. Choose the color of your shirt and the printing you’d like! Decal is approximately 4″ x 4″. Sweet embroidered All American Dog sweatshirt reads, “My heart belongs to a Mixed Breed.” With little hearts and a paw print flourish. Very cute pocket design, the perfect gift for mixed breed dog lovers. Request your own combination of three colors using the personalization box, or we will use a complementary scheme based on your shirt color.